GamersOrigin was created 7 years ago, in March 2011. At the time, it was just a fansite dedicated to Diablo. It grew up to become a company, a webtv and a eSport club thanks to your support. For GO 7th birthday, we will underline the landmark steps of this evolution in four different articles. Here is the first one. 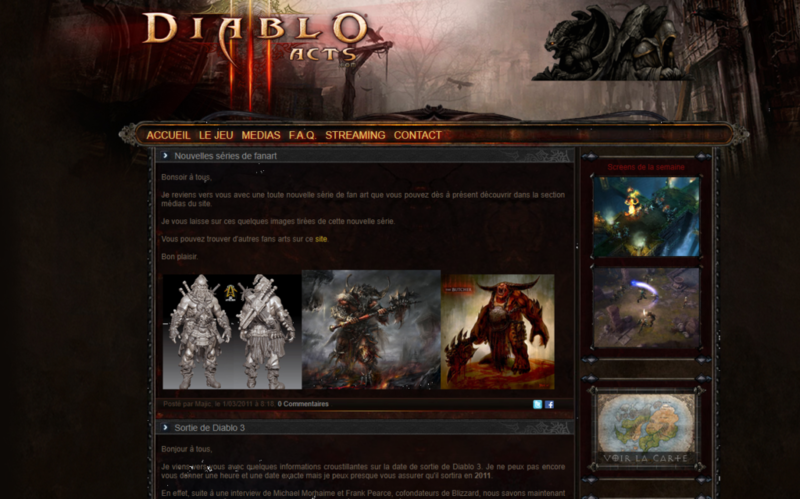 Originally, GamersOrigin was a Diablo-dedicated website created by 16-year-old Guillaume Merlini. It became a Blizzard official fansite, and GO started to stream and to make videos. A loyal community was growing thanks to new contents. We were all huge fans of Diablo and we worked on guides and tips for players, with articles and videos. It was kind of our hobby after classes and we never thought we will be able to turn it into a job. Blizzard launched Hearthstone on March, 11th 2014. During the beta, GamersOrigin produced a lot of content for its new Hearthstone-based website. Quality streams brought many viewers. At the time, Hearthstone eSport was in its early stages and no member of the board was truly thinking about it. GamersOrigin continued to cover Diablo’s news and to produce content for its community. The incredible enthusiasm for Hearthstone and its format tailored for tournaments helped an esport scene to appear. GamersOrigin started a new adventure in 2014 with the arrival of Grégoire “Un33d” Bodin, former high level World of Warcraft player. He was the very first eSport player to join the organization. Back in these days I played a lot to World of Warcraft while I was studying English at university. I started Hearthstone during the open beta, and I liked it so much that I stopped WoW. I streamed my games, mainly Arena at the time, on my personal channel with 100 viewers average. GamersOrigin hired me and I became the first player of the team. My goal was to stream as much as I could and to take part in French tournaments. Months later, Omar “Lowelo” Laib and Thomas “TheFishou” Guedj joined the team as well. They both took part in the European qualifier for the Worlds in 2014 and almost made it. The YouTube channel HSFR was created in late 2014 and it quickly grabbed a huge audience. A Twitch channel was launched in association with GamersOrigin. The alliance of David and Eskilax and our professional players resulted in a 24/7 webtv with a dedicated community. This support was the key to unlock an incredible success: GamersOrigin Cup#2, the biggest Hearthstone LAN ever made at that time. In 2015, GamersOrigin recruited Ryan “Purple” Murphy-Root, coach of the 2014 world champion Firebat. Purple gave our lineup an international dimension, and he won the America’s championship a few months after his arrival. Fishou and Un33d faced each other in the French national championship final, and Fishou won the cup and offered GO a new trophy. The company moved to its new office in Paris, equipped with a professional stream studio used by the Twitch channel now only managed by GO. The organization was getting bigger and bigger, so we had more and more meetings in my apartment. We realized then that we really needed a true workspace with studios for our streamers. We had the opportunity to obtain Gaming Live studios when they decided to move. Discover the next chapter soon on our website !